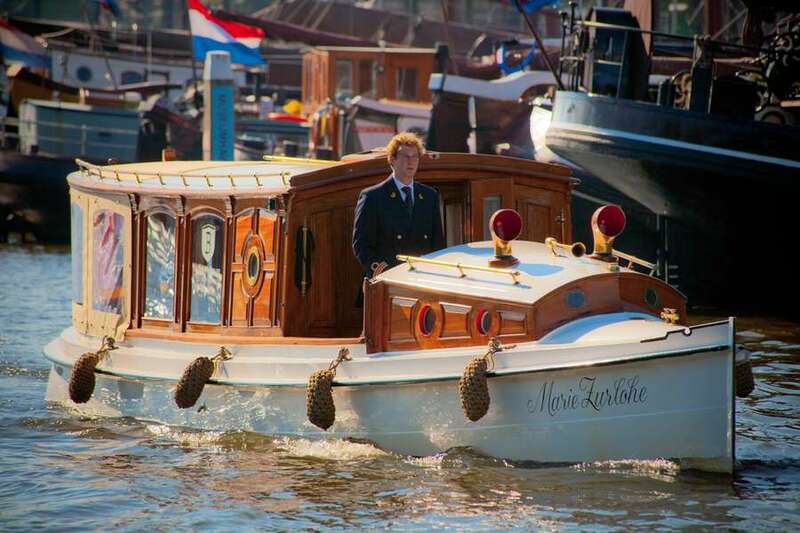 The Marie Zurlohe is a jewel of a saloon boat from the year 1912. 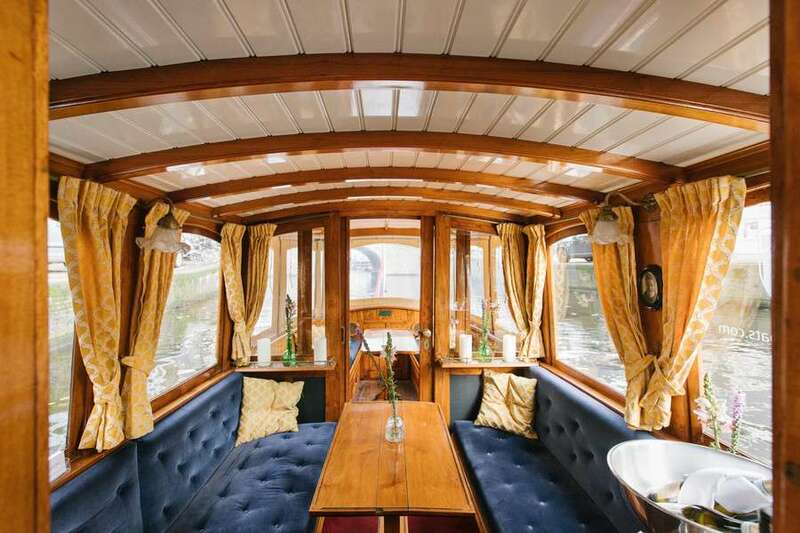 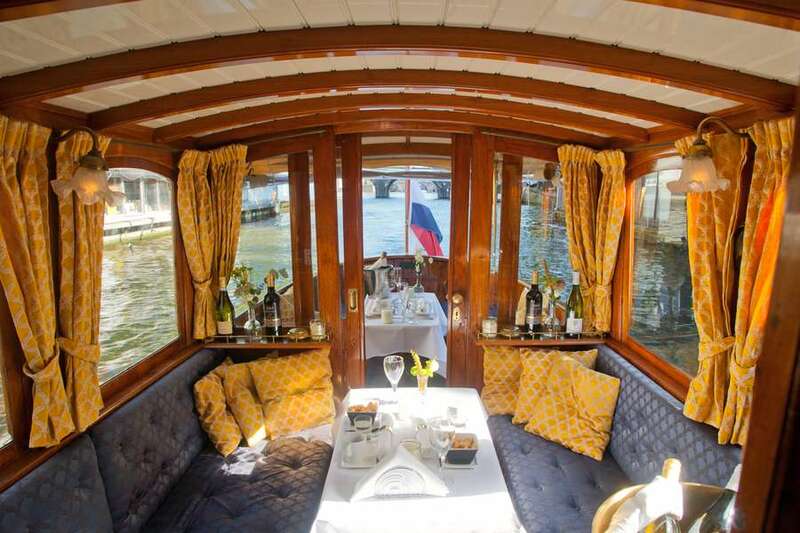 The ship belongs to one of the loveliest (smaller) saloon boats in its class in the country and is extremely suitable for a cruise with a maximum 12 passengers. 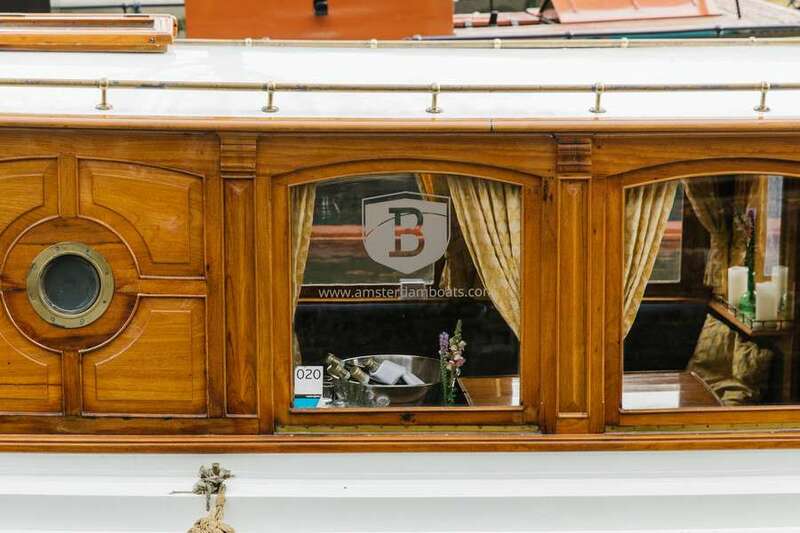 There are lots of possibilities on board of this favorite. 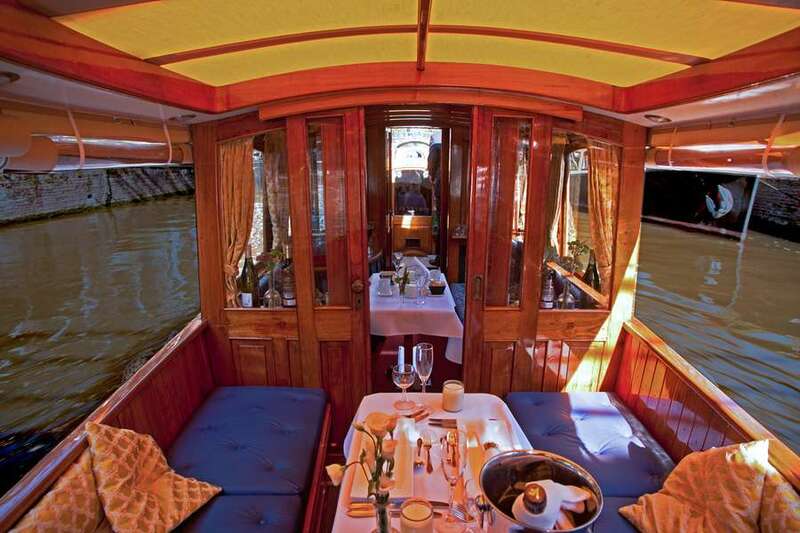 From cruising to a luxury haute cuisine dinner, a festive private affair or a business meeting. 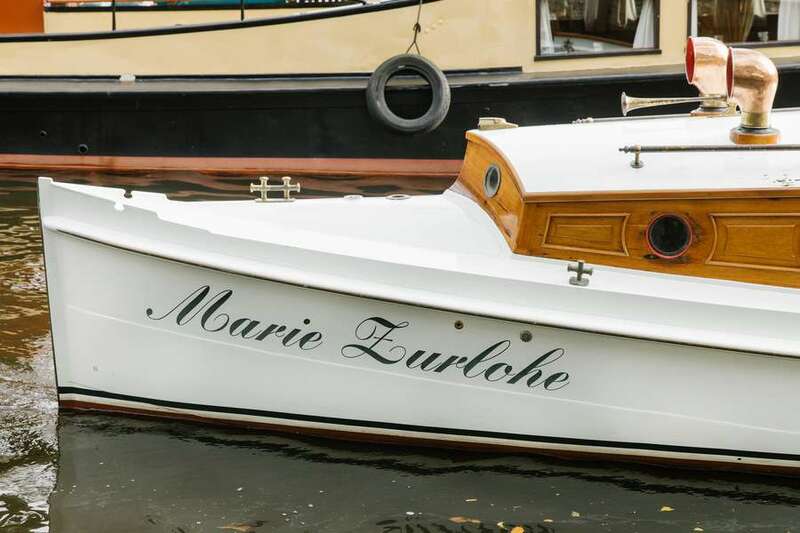 The Marie Zurlohe is finished with a brilliant wooden structure fitted with facet cut windows and extraordinary upholstery. 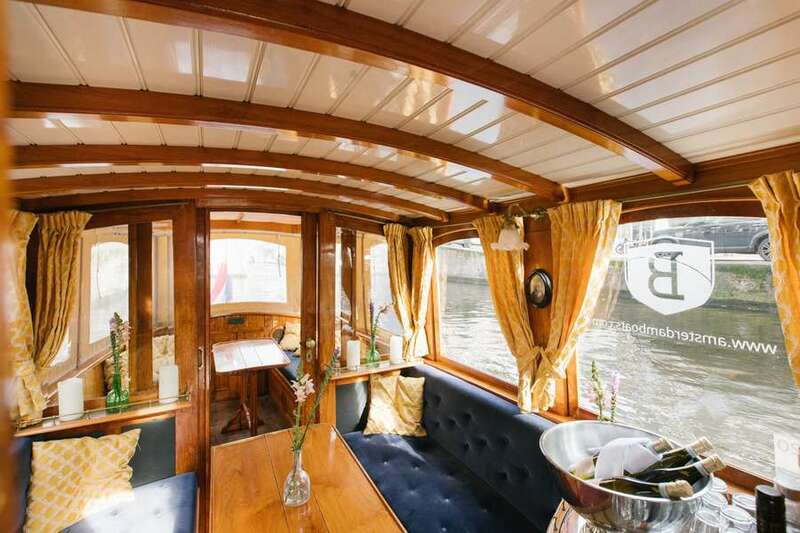 There are many conveniences on board such as a private bar, toilet, decorative lighting, heating and a music system with iPod connection. 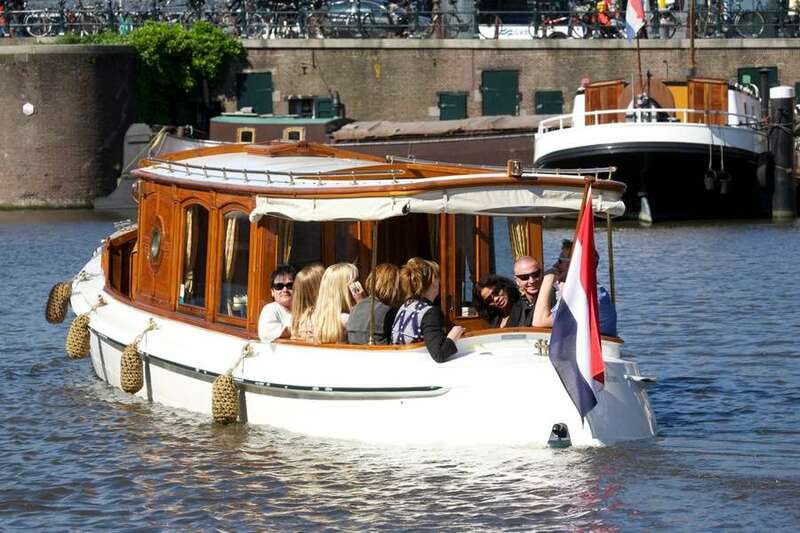 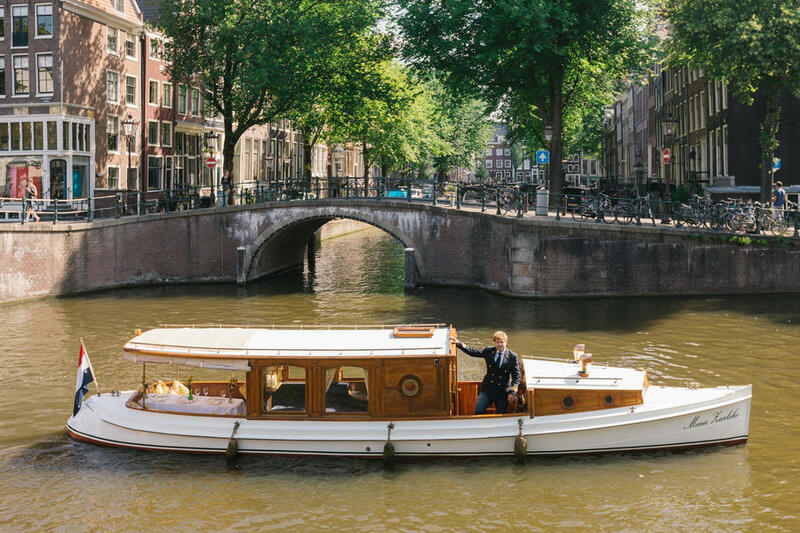 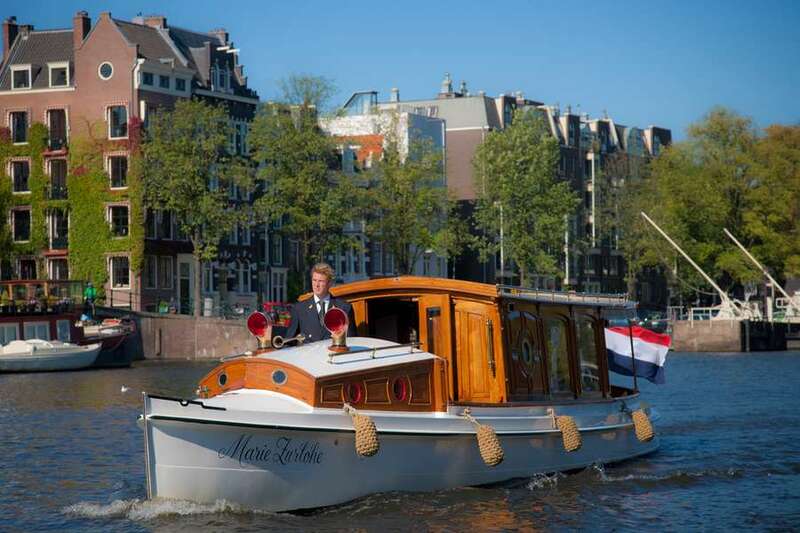 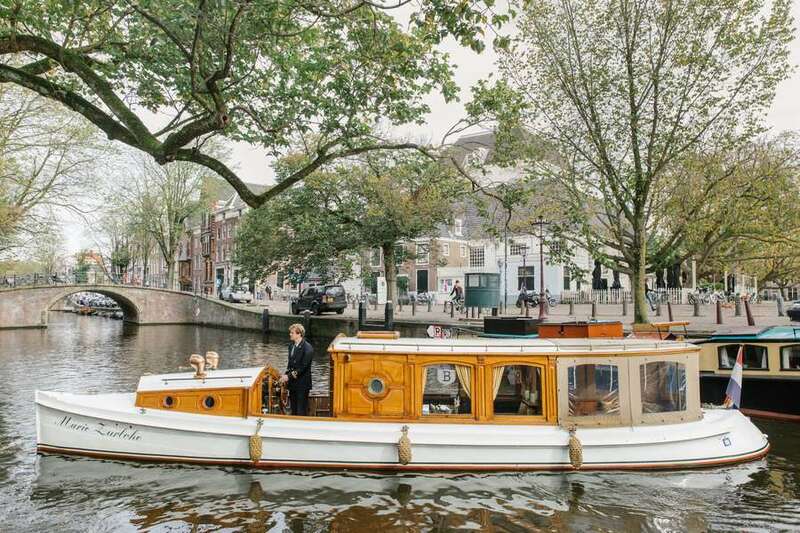 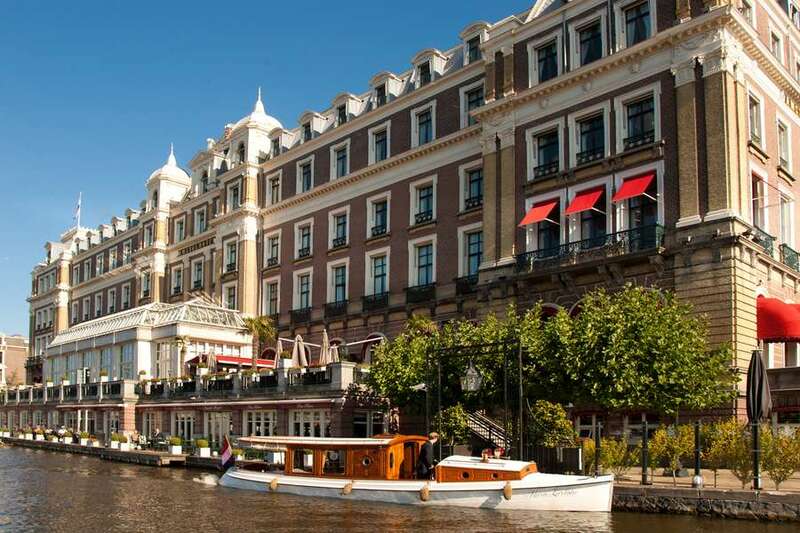 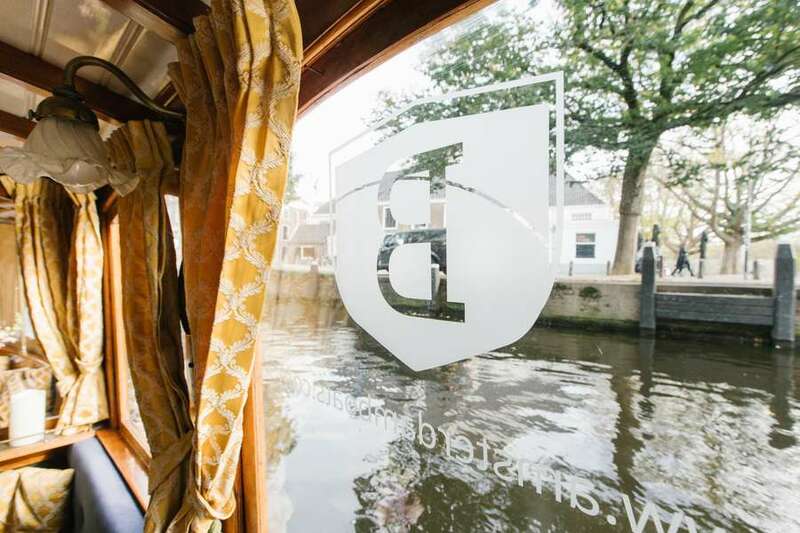 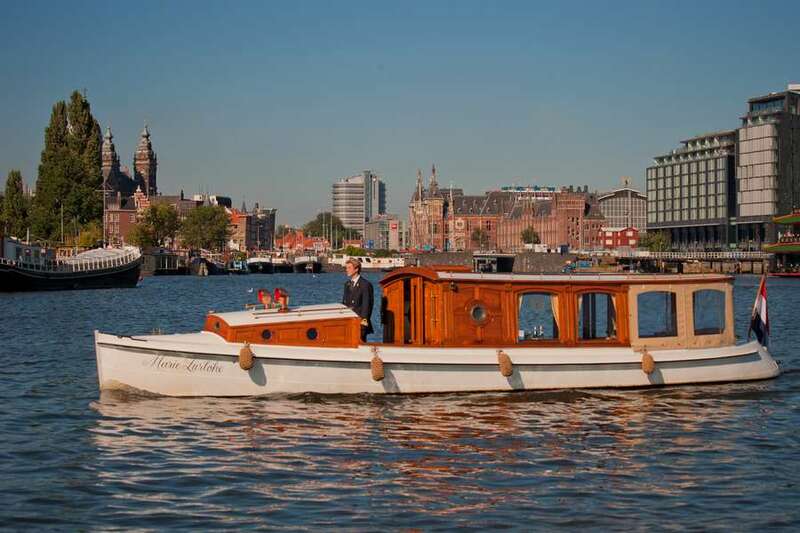 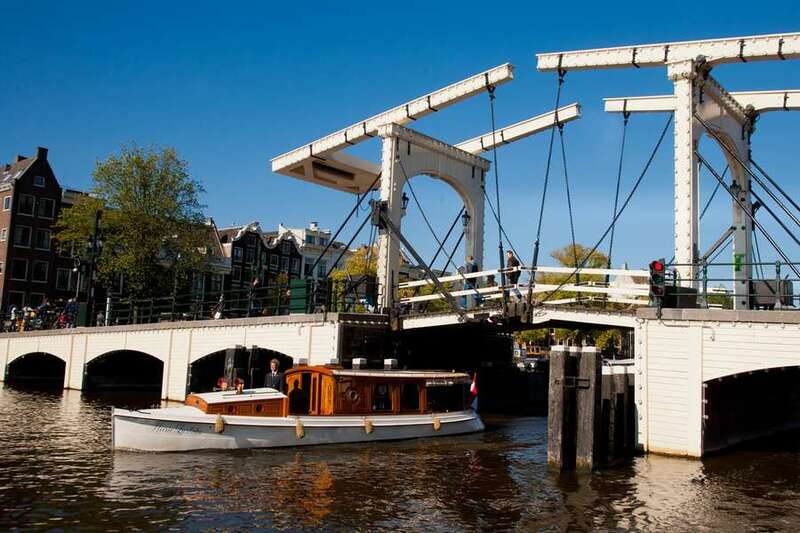 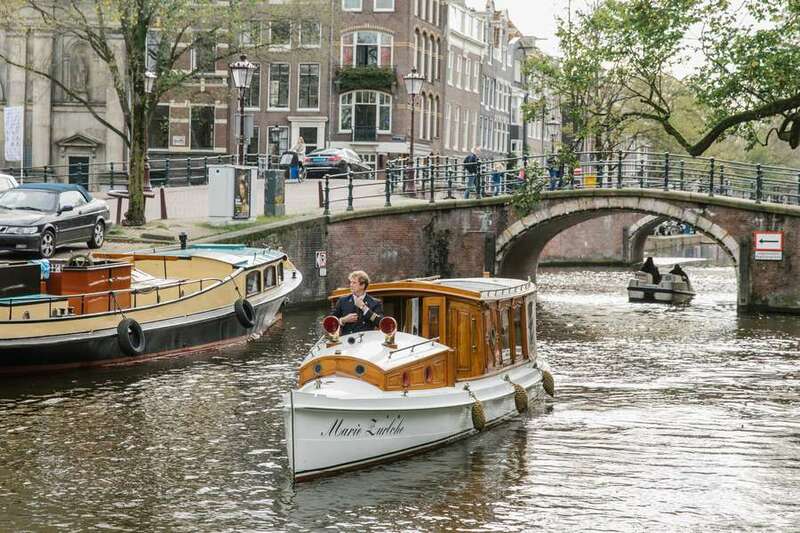 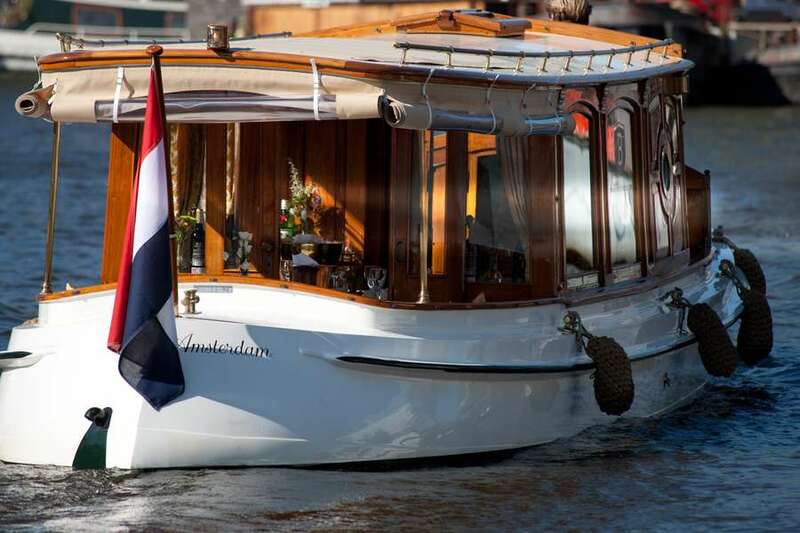 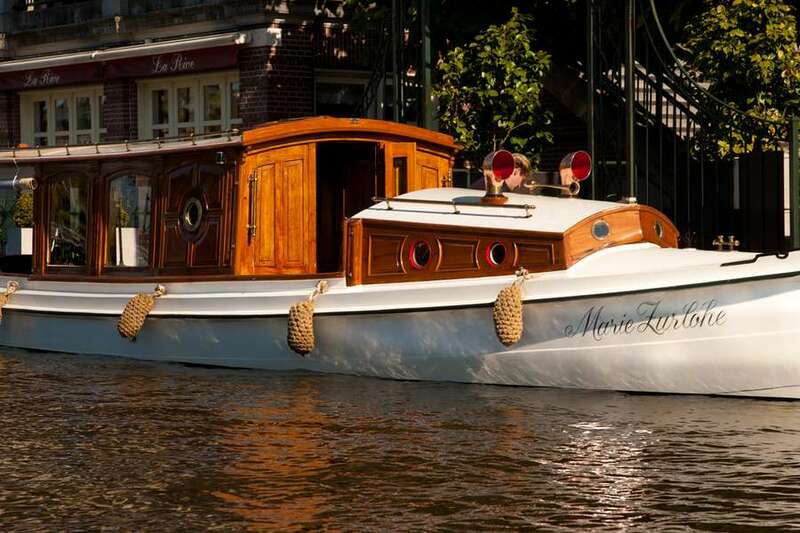 With this boat, you cruise the Amsterdam canals in style!